The Western democracies have declared that their strong stances against the current military regime in Burma* reflect principled stands against the 1988 massacres of pro-democracy demonstrators, the failure of the regime to recognize the results of the 1990 general elections (which resulted in a landslide victory for the main opposition parties), and the regime’s continuing human rights abuses. Yet it can be argued that such a strong and sustained position would have been less likely had the Cold War not ended and Burma’s importance in the global competition between the superpowers not significantly waned. Lacking any pressing strategic or military reason to cultivate Burma, and with few direct political or economic interests at stake, countries like the United States and the United Kingdom can afford to isolate the Rangoon regime and impose upon it pariah status. If this was indeed the calculation made in the late 1980s and early 1990s, it is possible that the changes that have occurred in the strategic environment since then may prompt a reconsideration of these policies. Burma lies where South, Southeast, and East Asia meet; there the dominant cultures of these three subregions compete for influence. It lies also across the “fault lines” between three major civilisations-Hindu, Buddhist, and Confucian.1 At critical times in the past, Burma has been a cockpit for rivalry between superpowers. Today, in the fluid strategic environment of the early twenty-first century, its important position is once again attracting attention from analysts, officials, and military planners.2 Already, Burma’s close relationship with China and the development of the Burmese armed forces have reminded South and Southeast Asian countries, at least, of Burma’s geostrategic importance and prompted a markedly different approach from that of the West. As the major European empires expanded, however, and geopolitics began to be practiced on a global scale, the world’s most powerful countries came to recognize that Burma occupied a geostrategic position of some importance. In 1824-26 Britain annexed the coastal districts of Arakan and Tenasserim; one of its prime motives was to safeguard eastern India and close the gap between Bengal and the Straits Settlements of Penang, Malacca, and Singapore.4 Sixty years later, both the United Kingdom and France were competing for influence in the Burmese court at Mandalay. Indeed, by attempting to balance the rivalry between these two colonial powers the last king of Burma, Thibaw (reigned 1878-85), probably helped precipitate his own downfall.5 The British authorities in Delhi subsequently saw Burma as a bulwark against French westward expansion from Indochina. Burma also represented a possible overland trade route to China. After the war, Burma continued to figure in the security calculations of key Western policy makers. The Ministry of Defence in London, for example, anxious to retain rights to use Burmese ports and airfields, persuaded the government of Prime Minister Clement Attlee to include such access in its 1947 independence agreement with the Burmese. In the face of rising nationalist sentiment in the Asia-Pacific region and the danger of communist insurgencies in such colonies as Malaya, Mingaladon airfield outside Rangoon became an important factor in British defence planning. It was considered necessary “in connection with His Majesty’s Government’s air reinforcement route to the Far East, and, in the event of an emergency arising, for the rapid movement of air and land forces, to and through Burma. Burma was strategically important to Britain also as one of the main sources of rice for its Asian dependencies, where food shortages were fuelling anticolonial sentiment. Because Burma was inside the sterling currency area, Britain could purchase rice there for places like Malaya without using its precious reserves of U.S. dollars. Burma may not have been the most important Southeast Asian country facing communist insurgency at the time, but all these concerns underscored Burma’s strategic role in the ideological struggle then being conducted in the Asia-Pacific region. The secret support of the United States for the Kuomintang helped to confirm the reservations of Burma’s leaders about involvement with foreign powers. They felt strongly that Burma could and should manage its own affairs. Prime Minister Nu was acutely conscious of the need to maintain good relations with Burma’s powerful neighbor China, but otherwise he strove for strict neutrality in international affairs.19 Burma was desperately in need of external assistance to recover from the war, but Nu preferred aid from “independent” countries like Israel and Yugoslavia; he was a major force behind the creation of the Non-Aligned Movement in 1961.
International interest in Burma’s geostrategic position, however, declined even further after the collapse of the Soviet Union and end of the Cold War in 1990. Indeed, as noted, had it not done so, it is unlikely that the United States (and its friends and allies) would have felt able to adopt such strong policies against the new military government in Rangoon. Ironically, it was the imposition of economic sanctions and arms embargoes by Western countries that encouraged the Rangoon regime to develop a much closer relationship with Beijing, something that has in turn prompted other Asia-Pacific countries to reassess their relations with Burma. The creation of the State Law and Order Restoration Council in 1988 and its subsequent introduction of a range of new policies broadly coincided with dramatic shifts in the global strategic environment. The end of communism in Russia and Eastern Europe led to the emergence of the United States as the world’s sole superpower. Accordingly, the agenda of the United Nations became much more aligned to U.S. interests and values, and more interventionist in nature. This in turn prompted a backlash by a diverse group of countries united by a desire to deny the United States a paramount position in world affairs. Also, with the close of the Cold War came the end of the relative stability and predictability of the old power balance. The proliferation of weapons of mass destruction and the means to deliver them greatly complicated management of the strategic environment. Finally, a number of new states and substate actors appeared, and new tensions arose. As a result of all these developments there now exists much greater fluidity, and thus greater uncertainty, in international relations. In particular, the last twenty years have seen the rise of China, which is now considered a serious challenger to the preeminence of the United States in the Asia-Pacific region. Perhaps more than any other factor, perceptions of China now generally shape the ways in which regional states are responding to changes in the strategic environment. These perceptions may be based on a selective reading of history and on enduring myths about China’s worldview, but in international relations perceptions become realities.23 Governments make national policy on the basis of what they believe to be the case as much as on the objective truth. For example, not since the eighteenth century has China harbored expansionist ambitions toward or engaged in open hostilities with Burma, Thailand, or Laos; China once included parts of these and other states in a list of “lost territories,” but this list has been omitted from Chinese public statements since the 1967 Cultural Revolution. Yet regional perceptions of China’s long-term strategic intentions are still coloured by the historical evidence of China’s support for communist guerrilla movements during the 1950s, 1960s, and 1970s, its war with India in 1962, its (unsuccessful) invasion of Vietnam in 1979, and its more recent occupation of reefs and islands in the South China Sea.24 China’s economic growth and military development are being watched closely by analysts in the region, and any signs that China is looking to extend its strategic reach are considered causes for concern. In this regard, Burma’s close relationship with China since 1989, in particular its defence links, has attracted considerable attention. Over the past fourteen years there have been numerous reports in the international media and professional journals to the effect that China has provided the Rangoon regime with a wide range of military equipment, arms production facilities, and training programs.25 There has also been a spate of news items that China and Burma have an intelligence-sharing arrangement and that Chinese military personnel are helping to operate some electronic surveillance equipment reportedly acquired by the Burmese armed forces.26 Some commentators have gone farther and claimed that China has already established a permanent military presence in Burma, one that includes naval and air bases and specialized facilities to replenish Chinese naval vessels (including submarines) during regular deployments to the Indian Ocean.27 Burma has even been characterized as a “pawn” of China, or at least a satellite state. The Republic of Korea shares some of Japan’s concerns. It too is dependent on oil shipments from the Middle East and hopes to develop its “textbook complementary” trade with Burma.37 While President Kim Dae Jung has been a consistent supporter of the Burmese democratic movement, South Korea is keen to see international friction avoided in that part of the world. At the diplomatic level, the ASEAN countries are probably correct in judging that China sees Beijing's as a sympathetic voice in regional councils. 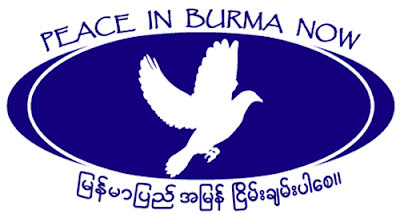 In this regard, Beijing would not have to dictate terms to Rangoon, as the Burmese regime already shares Beijing's views on such key issues as internal security, human rights, and whether other governments and multilateral organization are entitled to involve themselves in a country's domestic affairs.44 In addition, China no doubt welcomes the addition of Burma to that diverse coalition of countries around the world (including Russia, Iraq, Libya, India, and Malaysia) that are concerned about the sole-superpower status and global economic influence of the United States. These countries also distrust the increased willingness of the United Nations since 1990 to intervene in global crises in response to humanitarian sentiment or to promote regional stability. China knows that its position on the Security Council is seen by the Rangoon regime as the ultimate guarantee against a UN-sponsored military operation to restore democracy in Burma or to create autonomous ethnic states, as was done by the multilateral intervention in East Timor.45 In return, China feels it can count on Burma's support in other UN debates on such subjects as human rights and arms sales. The latter school reflects the deeper understanding of Burmese history. The conclusion that Burma has become a satellite of China and would be a willing ally in any future military confrontation between China and other regional countries should not go unchallenged. Indeed, it can be argued that in many respects it is not Beijing but Rangoon that has the whip hand. The military regime recognizes Burma's considerable debts to China and its vulnerability to a range of Chinese diplomatic, economic, and military pressures, but it believes it can manage the bilateral relationship in a way that preserves Burma's sovereignty, territorial integrity, and freedom of action.50 The regime may have been encouraged by the way that Chinese officials in Burma have kept a low public profile and have learned to tread warily in contacts with their Burmese counterparts. They seem to have behaved in this way so as not to offend the notoriously volatile and unpredictable Burmese leadership and thereby lose the gains China has made since 1988. The Chinese may also retain memories of the violent anti-Chinese riots in Rangoon of 1967, unrest that led to a break in diplomatic relations. In addition, there are other security issues that are likely to focus international attention on Burma over the next decade. For example, since 1988 the Rangoon regime has implemented a massive military expansion and modernisation program. The Burmese armed forces (known as the Tatmadaw) have more than doubled in size and are now the second largest in Southeast Asia. Should Vietnam continue to reduce its military, Burma's could become the largest. Thanks largely to China, its armed forces are already among the best armed. Since 1988 the Burmese air force has acquired nearly two hundred new combat aircraft, the navy has commissioned more than thirty surface combatants, and the army has been reequipped with a wide range of armoured vehicles, artillery, surface-to-air missiles, and infantry weapons. The Tatmadaw still has a number of serious problems to overcome, but has been transformed from a small, weak counterinsurgency force barely able to maintain internal security into a very large, much more powerful defense force, increasingly capable of major conventional operations.52 While the Burmese armed forces still lack a credible power-projection capability, regional countries like Thailand and India have already expressed concern about Burma's rapidly growing strength and cited it as justification for military acquisition programs of their own. In such a climate of uncertainty, interstate tension, and incipient instability, Burma's geostrategic position is likely to become more important to regional security than it was in past decades. Burma may also become a player in the wider strategic environment, especially if the current relationship between the United States and China develops into a more overt competition, into which other Asia-Pacific states are drawn, for political and economic influence. In these circumstances, Burma would probably attempt to steer an independent course, while protecting its relationship with China as far as possible. The U.S. government would come under domestic pressure to maintain a hard line against Rangoon, but the realpolitik of great-power rivalry could oblige it to change its policy toward Burma and to seek a more neutral, if not closer, relationship. Should that occur, other Western democracies would find it hard not to follow the American lead. Andrew Selth is a visiting fellow at the Australian National University’s Strategic and Defence Studies Center. He has published widely on strategic and Asian affairs, including Transforming the Tatmadaw: The Burmese Armed Forces since 1988 (Canberra, 1996) and Burma’s Secret Military Partners (Canberra, 2000). He has just completed a comprehensive study entitled Burma’s Armed Forces: Power without Glory, which is due to be published in the United States later this year. This article is drawn from Burma: A Strategic Perspective, Asia Foundation Working Paper 13 (San Francisco, 2001). A shorter version was presented at the conference on “Strategic Rivalries on the Bay of Bengal: The Burma/Myanmar Nexus,” held in Washington, D. C., on 1 February 2001 and sponsored by the Asian Studies Center and Center for Peace and Security Studies, Georgetown University; the Center for Strategic Studies of the CNA Corporation; the Asia Foundation; and the Sasakawa Peace Foundation. This article represents the author’s views alone. It has been drawn entirely from open sources and has no official status or endorsement. Copyright Superintendent of Documents, U.S. Naval War College Spring 2002. Provided by ProQuest LLC. For permission to reuse this article, contact Copyright Clearance Center.